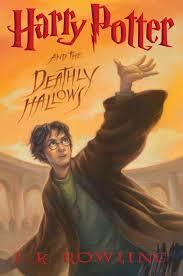 Warning: there are SPOILERS in this review of the seventh and last of the Harry Potter novels by J K Rowling. It’s written assuming that you know roughly what has happened in the earlier books, and what happens in this one. It pays no attention to the film(s), so don’t rely on your memory of that. 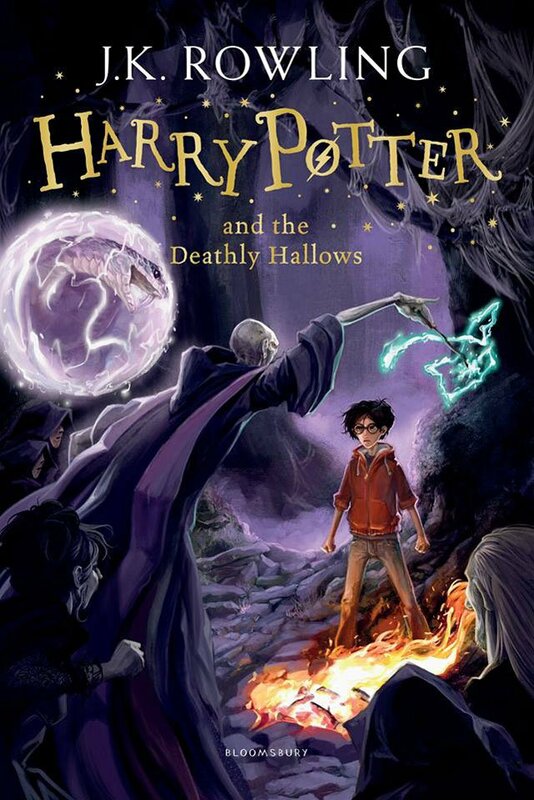 Like millions of other families in the western world in 2007, we bought Harry Potter and the Deathly Hallows the day it was published, in hardback, such was our collective addiction to the series, but we did not perform the usual negotiation about who would be allowed to read it first. 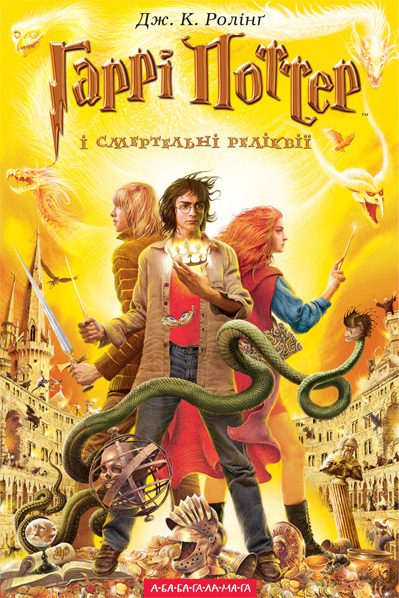 I had begun to run out of Harry Potter enthusiasm by then, and my children had grown up enough to read it without any help, so it’s quite probable that I didn’t actually read this novel properly, back in 2007. But this time round, I was only able to finish reading it by taking the morning off work, because I could not concentrate on anything else until I had reached the end. Some things I recognised: the Battle of Hogwarts, and – SPOILER coming, so stop reading now if you don’t want to find out – George dying, but everything else had simply gone. Once I’d read the Deathly Hallows all the way through properly, I reread the Battle of Hogwarts and all that follows again, just to get it all straight in my head. 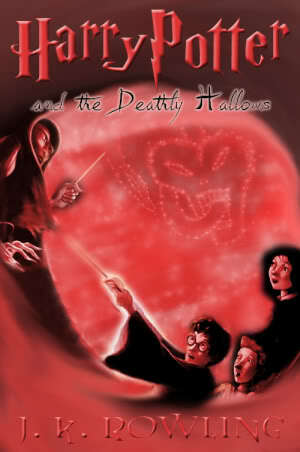 The Deathly Hallows is the strongest of the seven Harry Potter novels, which really impressed me. It is a spectacular multi-episode ending for the series, and ties up loose ends in beautiful, logical endings. Rowling shows some stupendous writing of the strong emotions of inarticulate teenagers. She gives the reader respite between very tense moments of danger, terror, chasing, stunning spells, but the tension really doesn’t stop until the end. The moments of relief and relaxation are very necessary: Lee Jordan’s samizdat radio broadcasts on Potterwatch do more than just give us, and Harry, a laugh. They recall secret communications between resistant groups in our own world, from the French Resistance onwards, which is sobering. They pass on information to the reader in a new way, which varies the narrative. They are updates on characters and events, which we sorely need, since the plot won’t allow Harry and Hermione and Ron to have any other way of communicating with the wizarding world in their exile. Potterwatch is a way of reinforcing the resistance to Voldemort; it raises spirits, strengthens resolve, could spark new ways of working together. And it makes Harry feel that he isn’t alone, that there are people on his side. It’s a tonic, a real boost for everyone’s morale, including the reader, since things have gone a bit dark and gloomy at this point in the story. 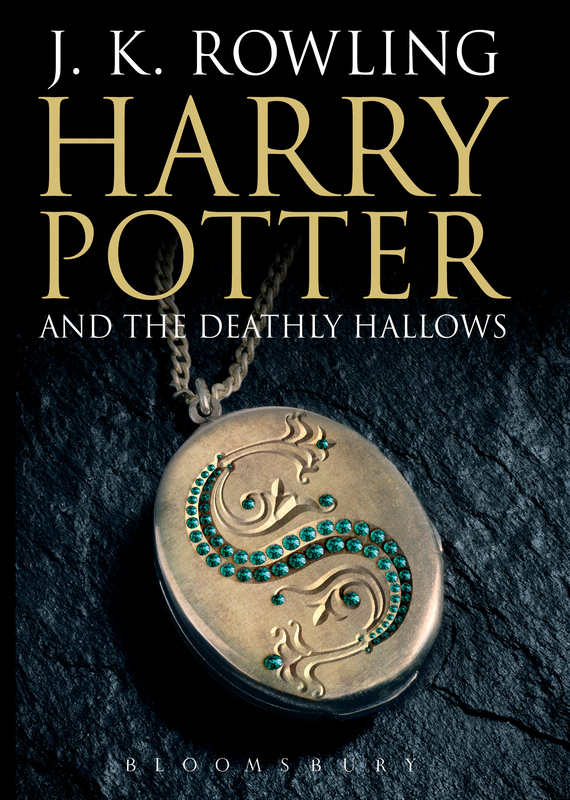 The plot is extraordinarily complex – my struggles with Horcruxes in the previous books is nothing to the density of story and implication we wade through in the Deathly Hallows. There is the main plot, supported by several secret subplots underneath that, plus plot complications caused by communications from beyond the grave – thank you, Pensieve, and the magical portraits. Themes come forward from earlier books to join up in the climactic ending episodes. Reading this novel is really a long, long succession of ‘oh, so THAT’s what it was about’. We also have a new father figure for Harry: Snape, of all people. So much has been said about James Potter’s friends, and his ghost, and his, the father’s support of Harry, that we have forgotten that Lily Potter might have had friends who would want to help Harry too. Snape stopped being her friend a long time ago, so I am not sure I accept the likelihood of – SPOILER coming, a really big one – Snape having loved her so much all his life that he will undergo all kinds of torture and risk to keep Harry safe for her sake. Yet, it makes sense in the plot, it makes sense as a character motivation, and it is supported with enough extra things in Snape’s personality to make it work. Harry’s furious despatch of Lupin back to his family is very unexpected, but it also makes perfect sense for the characters and for the plot. At first, despite Lupin’s elaborate demonstration of who he was when he arrived at Grimmauld Place, his announcement that he was abandoning the pregnant Tonks to stay with Harry seemed almost a suggestion that here was a Death-Eater in disguise. But Lupin’s last chance to be an adventurer, to hook up the remaining member of James Potter’s old gang with Harry’s gang, is seen through immediately by Hermione (and the reader), and Harry is simply furious that another baby might lose its parent. This is a recurring theme: so many children in the novels are without one or both parents: Tom Riddle, Dumbledore, Snape, Harry obviously, Neville, Seamus (or is it Dean? ), Luna, and – SPOILER – Teddy. These parentless children are essential because they make it possible – you never thought this could ever happen, but it does – to feel sorry for the Malfoys. The work of the Ministry of Magic in persecuting half-bloods and those who are pro-Muggle is horribly serious, and horribly, cleverly, reminiscent of every totalitarian dictatorship that starts its repressions small. Getting a few victims out of the Ministry is one thing, but the fact that the victims need to leave the country to be safe, just as Hermione has sent her parents to Australia under heavy enchantment and disguise, is an abrupt reminder that wizarding has gone very bad indeed in Britain. This is the first novel I’ve read that uses magic as a metaphor for Nazi persecution or the Stalinist terror. It is quite clear that when half-bloods are being persecuted, Muggles will be next. I do like the idea very much that each new British Prime Minister receives a visit at the start of his, or her, term of office from the Minister for Magic, and is suitably terrified and appalled. It’s a clever way of joining up the thinking in these novels, that the bad things that happen can happen in a different form without magic in our own world. In the words of Mad-Dog Moody: we must exercise constant vigilance. One of the small supportive subplots in this novel is seeing Hermione and Ron gradually stop needling each other, but it takes so LONG: they are very unforgiving to each other, and Ron is the most obtuse teenage boy I’ve ever encountered. The cold weather doesn’t help at all, since being miserable becomes worse if you’re cold and tired, and without anyone competent to cook for them, they’re not eating properly either. The raid on Gringotts was terrific, though rather rushed, since escaping on a dragon is hardly a small thing to do, but somehow its wild excitement gets lost in all the other extraordinary things in this novel. 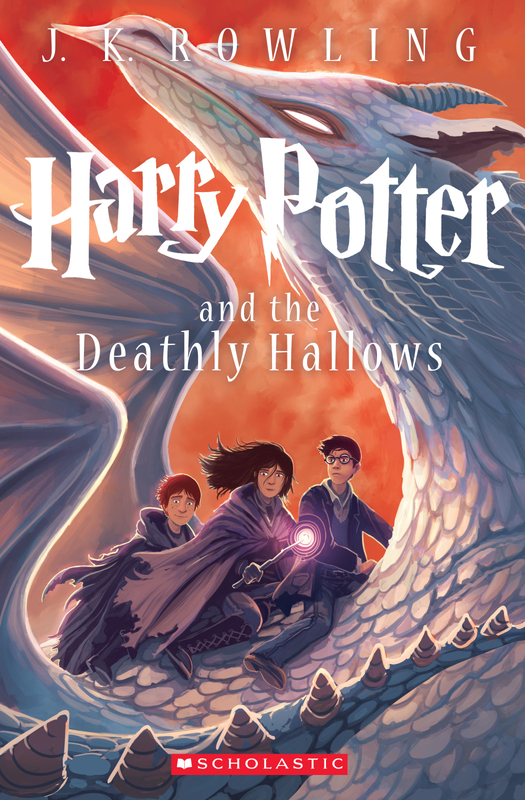 With the return to Hogsmeade, and the Battle of Hogwarts, the novel develops a momentum that just doesn’t stop. Everything has been leading towards these moments and it all works perfectly. I have one quibble. During the Battle of Hogwarts I was reminded too strongly of another scene of fantasy battle chaos in which centaurs, giants and wand-magic are flashing in a melée of magical creatures and the forces of Christlike sacrificial good (in a red lion livery) battling a dark leader. C S Lewis’s The Lion, The Witch and the Wardrobe contains almost the same scene, though rather less populated with witches and wizards. Although Rowling kept control of this epic scene, she let her language turn medieval for one uncharacteristic moment, as if she couldn’t stop herself writing an epic fantasy battle without sounding like Lewis, in a small passage of sweeping chivalric hyperbole. I leave it up to you to see if you can find it. But that’s the only time I noticed her losing her otherwise impeccable control . This is a marvellous novel. I recommend the whole series. Kate has done a series of podcasts, one on each of the Harry Potter novels, on www.reallylikethisbook.com. I’m reading this to my youngest boy (9) and the other two (12 and 15) like to come and listen at night. It is not every author who can inspire that type of devotion. When I read it aloud to my children, they ate food they would never normally touch, so distracted were they by the story. That’s what I call magic. I’ve never understood whether there was any moral grounding to this story….I know there are bad guys and good guys, but that’s not enough, is it? Hmm, moral grounding. HP7 does demonstrate a distinct opposition between fascists and murderers on a killing spree (Voldemort et al), resisted by people who want to live and let live, even though they kill in self-defence and to destroy the forces of murder. The violence seems endemic, and since Dumbledore died everyone uses violence, i think he was the only pacifist wizard. The moral of this book is do as you would be done by, which is a good start. Thank you for an excellent review. You’ve reminded me how political HP7 is, even more so than Order of the Phoenix. 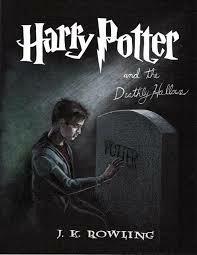 The themes in Deathly Hallows – integrity, courage, grief, love, among others – invest the whole series with a moral seriousness that we aren’t always aware of, especially on a first reading. I was far too busy soaking up Rowling’s magical universe to take it in first time round, but it’s there. Ron’s stomping off in a jealous fury, only to come back when he realises that some things are too important to be sidelined by adolescent angst is a good example, while Lee Jordan’s journalistic bolshiness in the face of bullying and threats is another. Hermione’s sacrifice in letting her parents go is a particularly wrenching moment. What I got from HP7 is a reminder of how hard it can be to live in the world, especially for many young people, a fact that many (Muggle) politicians seem oblivious to. Terrific review, and maybe I should do a proper reread soon. Someone wondered recently why all this bad stuff is going on in Britain and no-one outside of the country appears to be involved or interested in what’s going on. I’d never noticed this while reading before, but is quite glaring in hindsight. This entry was posted on October 21, 2014 by Kate in Entries by Kate, Fiction: 21st Century, Fiction: children's, Fiction: fantasy, Fiction: young adult and tagged C S Lewis, Harry Potter.